So what about a follow-up or no new developments warrant a Part VI? I do construction and excavating work, and this is my super-busy time of year (between the winter cold and summer heat). I just do not have a lot of time to spend on the computer right now. Sorry. When things let up, I'll get back on it. Lot of new developments. But unfortunately, the stroke that Bruce/LoneBear had about 6 weeks ago has put a big hold on getting the Reciprocal System details on how to explain these things, like how to "break out" and change from a muggle to a Wizard. He is recovering, but in need of a lot of medical work (he is not a rich man, so helping as best I can--medicine isn't cheap, even with Obamacare). If I never mentioned it, I'm married. Well, you know what they say... "marriage" isn't a word, it's a sentence. After a long time (years!) , I found Part V of the series.... (many thanks).. Does anyone has any comments on that maybe? If you understand the Reciprocal System, the p-waves make complete sense. Those wave are pressure waves, which means that they are being transmitted via the temporal rotation of atoms (in a solid). The interior of the Earth is in coordinate time, so it APPEARS to be a super-dense solid--rings like a bell. The waves initially travel through the time of the atoms, then when they get to the so-called "outer core," they are then begin traveling through coordinate time. With our instrumentation, we cannot tell the difference between temporal rotation and 3D, coordinate time--so they just assume that everything is temporal rotation (no idea about 3D time). I'm talking with some people about religion, The Garden of Eden (EDIN,) and anthropology. 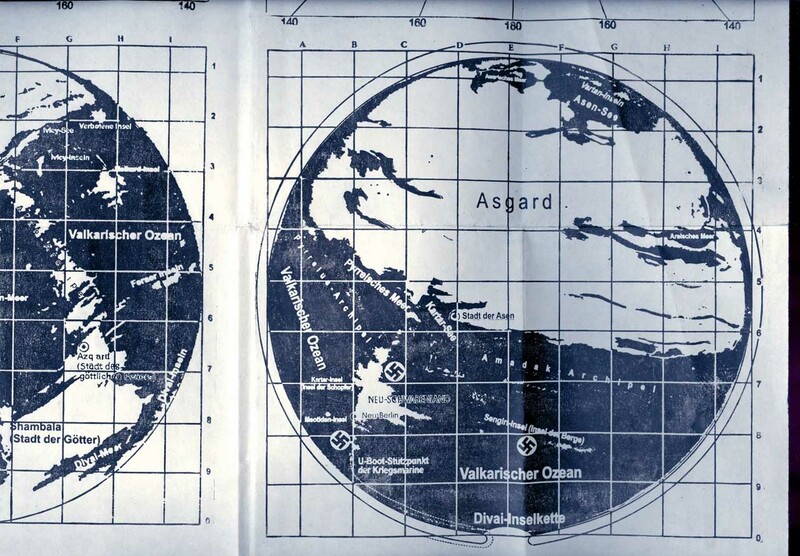 I pulled some material from Part V regarding the Moon being an Ark, Ásgarðr and Miðgarðr. It sounds like what he has researched about hollow earth matches up with your theory of hollow moon. Perhaps this is a sign that the Nazis, specifically to him but the ruling elite in general to me, already knew of this name Ásgarðr, a mystical, royal location, and just applied the name to something they were trying to discover under the earth. Thought you mind be interested in the picture if you haven't come across it. The pdf contains several different items, compiled together. 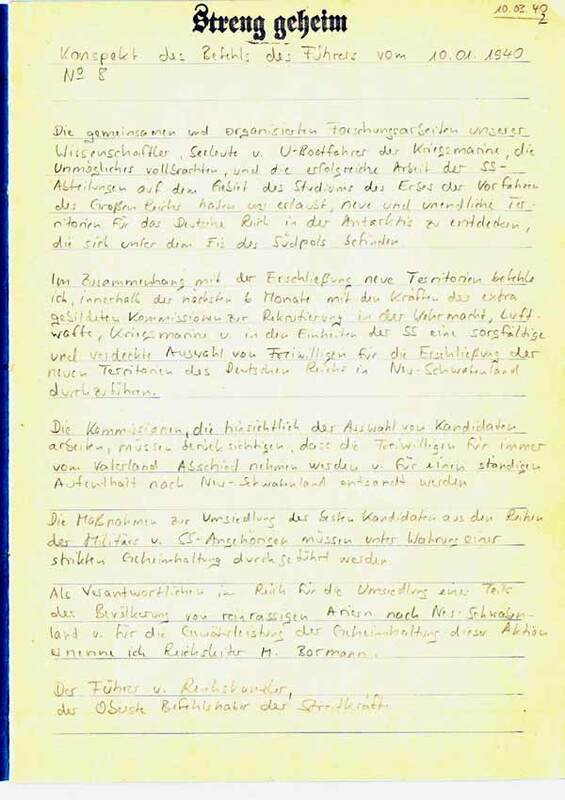 The first item is a summarizing transcript of an alleged Hitler document from Jan 10th, 1940. And it is an obvious fake. Just by the writing you can tell it was written very recently, probably in the last decade. The written German language from 1940 would be slightly harder to understand. I just found the supposedly original transcript, dated March 10th, 1940. The biggest clue on it being a fake is a word that was spelled in consideration of the new 1996 spelling rules (dass instead of the old daß)! The next item is a detailed instruction on how to get to Agartha, including some graphs. I liked the last sentence in the brackets the most. Here is an English translation. 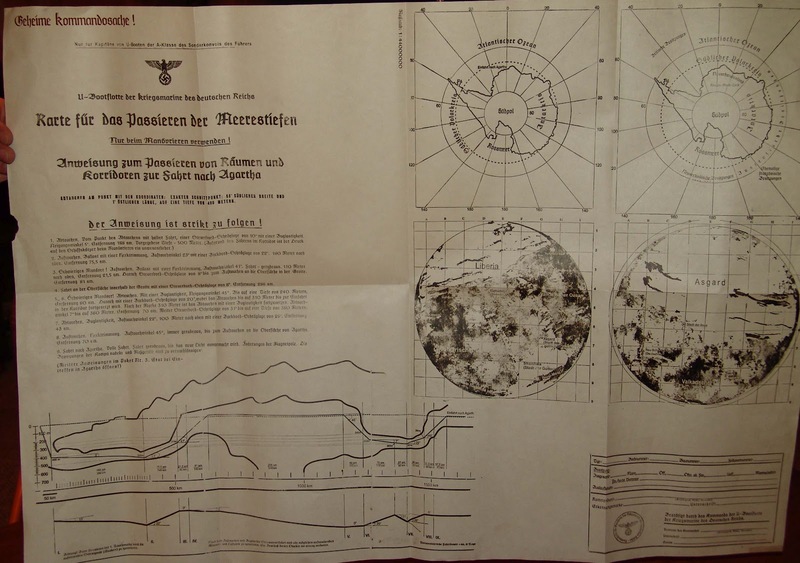 You see the maps on various websites which are riddled with false information, some fake images, even some Iron Sky footage... So naturally my conclusion was that it is mainly disinformation, either due to plausible deniability or simply as intentional dead end as usual. I didn't waste my time with it any further. If I remember correctly, all these documents were - allegedly - found in some old Russian WWII archive and then published on the Internet by a guy called Анатолий Копьёв. Compare the end of the pdf where it says: "With archival documents, helped an elderly man from Moscow - his name is Anatoliy Kopiev." I have noticed that in my last link above the maps look different than in the pdf. Apparently, those maps can be found in three different versions. Here is a higher resolution of it. It looks like a mix of old radar imagery and a computer made graph. Anyway, it still smells of forgery. Here's a video of a Russian Journalist showing the map and other material taken from the Orion documents. Among them is the obvious fake one that I commented on in my previous post. And if that one is a definite and recent fake, I bet everything in those three Orion folders is a recent fake. Though there is one detail on the map that is worth pointing out. Under the name "Kartar-Insel" it says Island of the creators. This may be a reference to real history. On our real world map, Qatar and Dubai are not far away from each other and may have been even closer to each other prior to the expansion events. So calling Kartar/Qatar the island of the creators is quite fitting! Probably an inside-joke of TPTB. The Greek name Sarmatai sometimes appears as "Sauromatai", which is almost certainly no more than a variant of the same name. Nevertheless, historians often regarded these as two separate peoples, while archaeologists habitually use the term 'Sauromatian' to identify the earliest phase of Sarmatian culture. Any idea that the name derives from the word lizard (sauros), linking to the Sarmatians' use of reptile-like scale armour and dragon standards, is almost certainly unfounded. The idea of using a reptile-like scale armor may be unfounded but what about the idea that some of them had actual reptile skins or were following orders of those that had them? (This is completely unrelated to the rest of my post and merely an fyi). I plan on getting round to it once I finish a few other books i'm currently reading.